Police arrested four individuals on Sunday prior to the NCAA tournament Elite 8 contest between Kansas and Duke in Omaha, finding themselves slapped with charges for offering tickets too close to the venue in violation of Omaha Municipal Code 20-162. The statute in question makes it unlawful to sell tickets above face value within a half mile radius of various venues in the city of Omaha. N.B. – This is the only law regulating the resale of tickets within the state of Nebraska. Meanwhile, the games in Omaha sold like wildfire on the secondary market, unabated. According to data from Ticket Club, the regional final in Omaha was the second best-selling college basketball ticket for the entire year as of Sunday. Since that point, Final Four contests have caught up to and surpassed the Midwest Regional semifinals and finals, but they were No. 1 with a bullet in the market over the weekend. Ticket prices on the secondary market had asking prices into the thousands for prime seats – far above any face value established. On average, tickets sold went for nearly $250 per seat, which begs the question of why local authorities might spend the time and effort harassing a few locals when a good chunk of the people holding tickets to be scanned at the venue probably bought them from a seller besides the NCAA, at a marked up price. Or, they could have purchased tickets from the officially NCAA-endorsed resale market for tickets. Either/or. One man offered two undercover police officers two tickets for $500, but when he was in custody, he said that he was selling them for $275 — his cost for the tickets plus taxes and fees. Another man had four tickets for sale and offered them to an undercover police officer for $300 each. An Omaha man offered to sell a ticket to an undercover police officer for $225. That officer declined and followed the man, who entered the arena’s south doors. When he was taken into custody, the man told police that he sold his extra ticket at face value before going into the game. Officers recovered $260, and a photocopy of the ticket was booked into evidence. While we applaud the local law enforcement for protecting its citizenry from the scourge of paying something resembling the market price for tickets that weren’t available from the box office as game approached, one has to wonder – if these four individuals had just found people looking for tickets that didn’t have any rather than municipal employees with plain clothes instead of guns and badges on display, who would have been harmed? In short, volenti non fit injuria. For those interested in the full language of the municipal code in question, it is included below. Omaha Municipal Code Sec. 20-162 – Ticket scalping prohibited; resale of double header ticket prohibited. 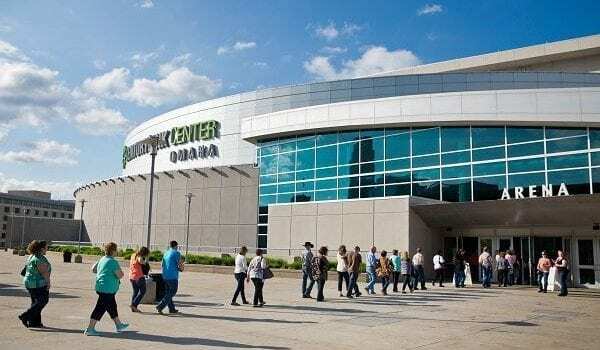 (a) It shall be unlawful for any person to resell or attempt to resell a ticket to an event to be held at the Civic Auditorium, Orpheum Theater, TDAmeritrade Park Omaha, or the Omaha CenturyLink Center for an amount greater than the face value printed on such ticket on the grounds of such facilities or within a one-half-mile radius of each such facility, provided that no ticket stub which has provided the bearer entry to the first game of a double header and serves to provide re-entry to the second game of a double header event at TDAmeritrade Park Omaha may be resold or attempted to be resold for any amount. (2) “Ticket stub” shall mean a portion of a ticket retained by the user which has provided entry to the first game of a double header at TDAmeritrade Park Omaha and which serves to provide re-entry for the second game. (c) If the name of any facility listed in this section is changed after the effective date of this section, this section shall continue to apply to such renamed facility.